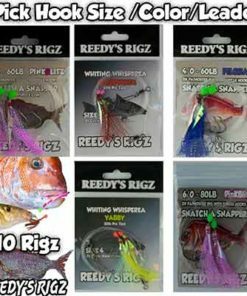 fishing fishing Snapper Special Fishing Snell Rig A Twin Hook a Very Popular Fishing rig in port phillip bay Now you can buy them Pre-Tied for this up coming snapper season 2016 . 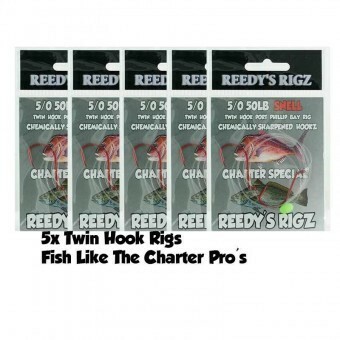 The Melbourne Charter Special is Tied On 50lb Leader . 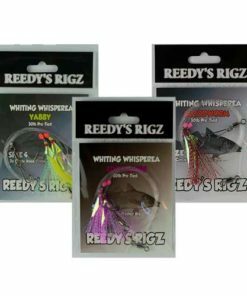 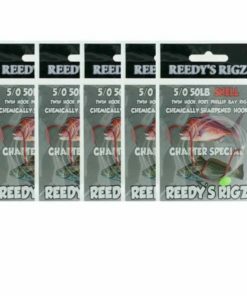 Stock up On these Fishing rig . 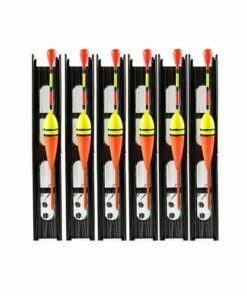 The rig Can be used to Target fish Such as Gummy Sharks , Snapper and Various Fish you May find in port Phillip bay . 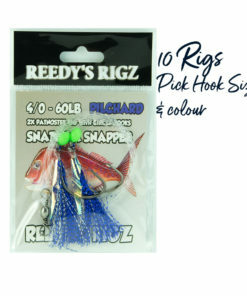 The fishing rig is Very Common and is use On board Many charters in Melbourne . 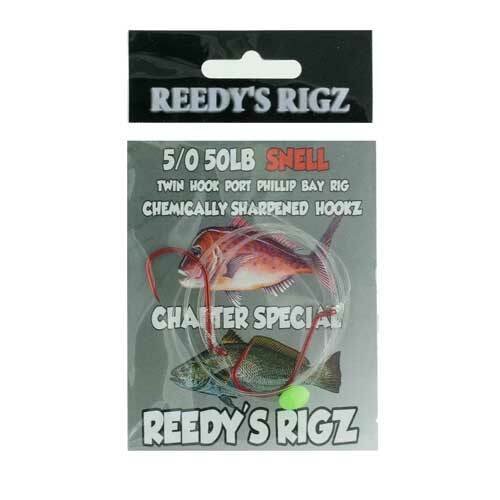 The Hook Are Chemically Sharp with a Snell Knot . The Snapper Charter Special rig is Designed are around the bay . 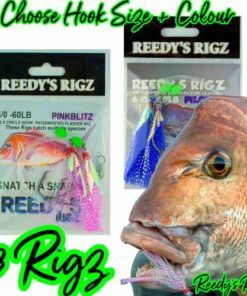 Fish like the Snapper Charter professionals Fishing Rig Designed For Melbourne’s Port Phillip Bay Get on board this Snapper Season stock up with Pre-Tied snelled Rigs Tackle for targeting big Red. 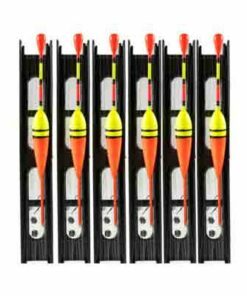 Reliable gear at reasonable Price’s . 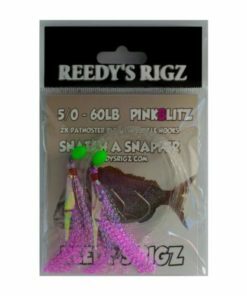 The new Rig has been redesigned for 2016 Season have Learned that this Snapper Rig fishes well Early Season & you can fish this rig all year with retaining the leader strength to land a big fish. 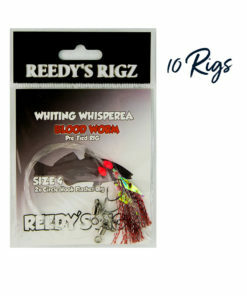 We fish this Tackle in combination with a flasher rig . 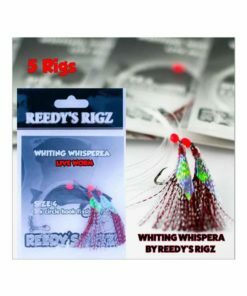 Many of Melbourne’s Leading Fishing charters fish this rig. 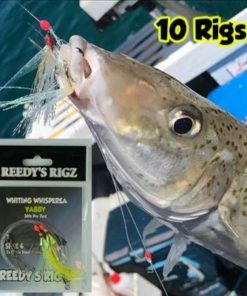 Charter Special Features – A Snell rig is the another fishing rig in Victoria , its has two hooks and involves tying a Snell knot. 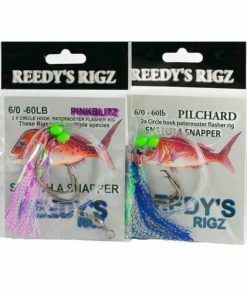 You would use this rig to bait a full pilchard or squid and i would strongly suggest having some of your fishing rods equipped with this type of rig . 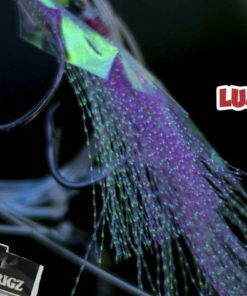 After rigging Try to use a light sinker to get you to the bottom of ppb i like to use size 1 Ball sinker. 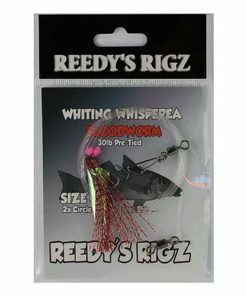 But some time’s your fishing wind against current and you might need a slightly more weighted sinker so its worth having size 3, 4 in your tackle box . 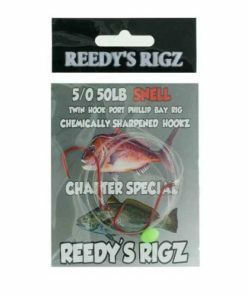 Snapper Charter Special Fishing Melbourne Snell Rig A Twin Hook a Very Popular Fishing rig in port phillip bay Now you can buy them Pre-Tied for this up coming snapper season 2016 . 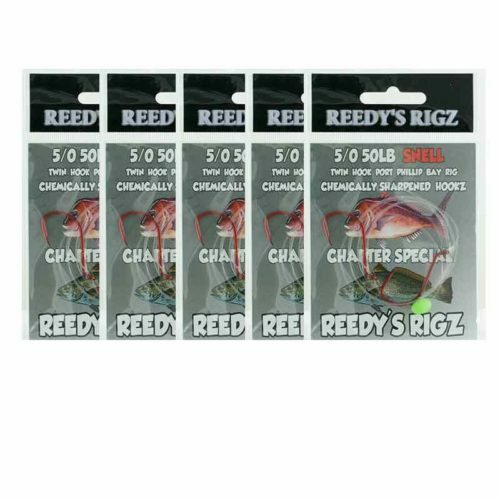 The Melbourne Charter Special is Tied On 50lb Leader . 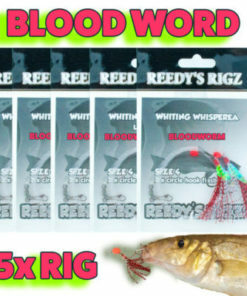 Stock up On these Fishing rig . 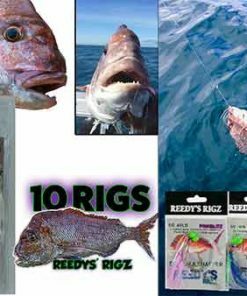 The rig Can be used to Target fish Such as Gummy Sharks , Snapper and Various Fish you May find in port Phillip bay . 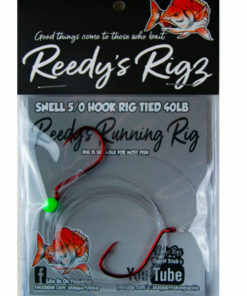 The fishing rig is Common and is use On board Many charters in Melbourne . 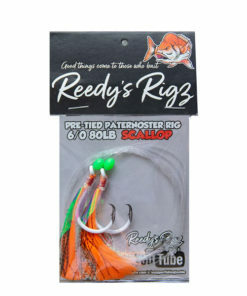 The Hook Are Chemically Sharp with a Snell Knot . 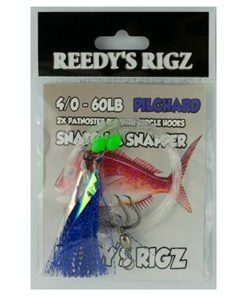 The Snapper Charter Special rig is Designed are around the bay .